On Saturday afternoon I made a mini chocolate cake, just enough for two. 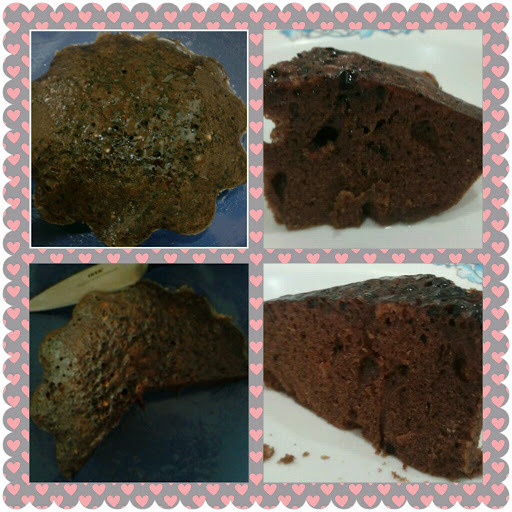 Again it was a bit tough and firm but at least this time it didn't look so much like kuih texture. I did not put any chocolate chips as I was worried it won't turn out well. But luckily it tasted a-ok and we finished it. Then we went to my parent's place in the evening and left Kz there while we went for dinner, Samosa. 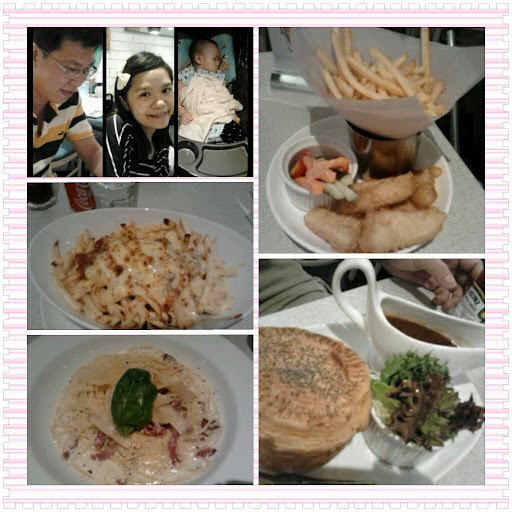 We dined there at least once a week when it was newly opened few years ago. But after having Kz and moving out from my parent's place, needless to say, we did not go there anymore. The lady boss surprisingly still recognize us and asked about us. (pictures not taken). On Sunday morning we went to Sunway Pyramid. Kz was already asleep in the car on the way to Pyramid. Surprisingly he did not wakeup when we put him inside the stroller upon reaching. So we hurried to Delicious restaurant for brunch (11am). Food was good, I had nothing to complaint! We went to Daiso after lunch and Kz wokeup when I was halfway shopping. You know, I could spend the whole day in Daiso. But end up I only spent about 5 minutes there to get what I wanted in a jiffy. Bought some measuring cups, ramekins, ice lollies maker and a lemon juicer. Then hubs went to Cold Storage to buy some household stuff while I stayed outside with Kz to feed him his porridge. Lastly I managed to go into Nichii, grabbed a couple of dresses without trying and quickly paid as Kz was getting restless. Went home at 1.30pm, did the usual routine stuff (lap badan for Kz, change him into a new set of clothes, play, make him zzz). And guess what, instead of napping with him (which I usually do), I made a cake again! 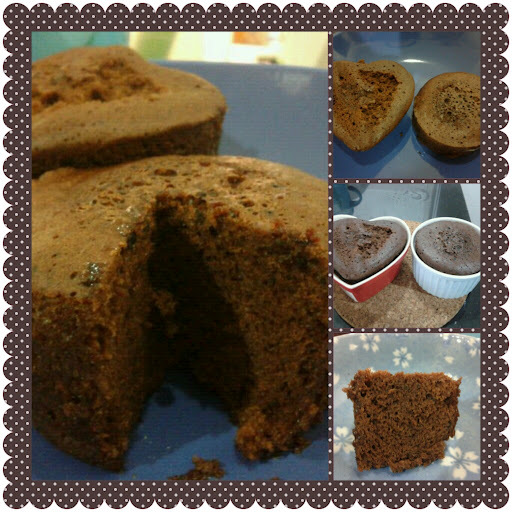 Chocolate coffee cake this time, with some instant coffee mix added, portion just for 2, since I bought some cute ramekins from Daiso and can't wait to use it. Oooh, made ice lollies with coke and ice cream soda, too (pictures not taken). Then we had steamboat for dinner (at home). My all time favorite.